Dinners are held in the Ward Room at the start & end of the season - Fitting Out Party in March/April and Laying Up Supper in October. The Annual Prize-Giving event is held in November. 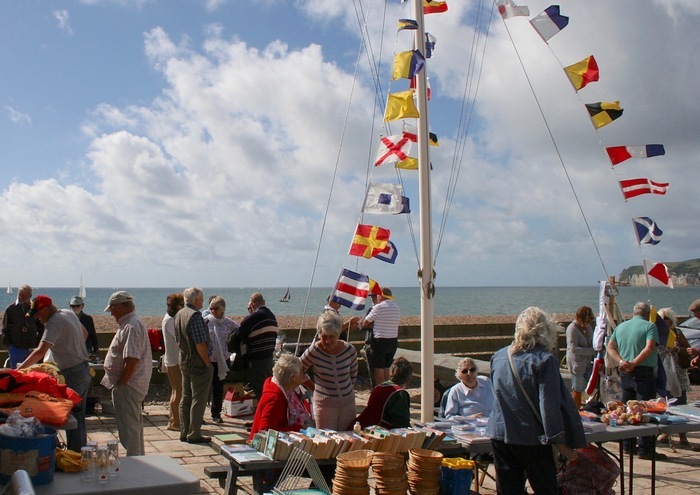 Other major events include the Axe Regatta and the Club Charity weekend - activities on the water are accompanied by a programme of BBQ's, buffets, musical entertainment and fund raising activities. There are a variety of other events in the programme including Bangers & Mash night, 'Brain of the Axe' Quiz and a Halloween party. Christmas Lunch is also a popular event. Details of social events are advertised on the website & in the Knot newsletter. Friday night talks given by a range of speakers are held monthly through the winter months, and these are often accompanied by simple meals Winter Talks Programme 2018-19. We rely on volunteers to help with making tea & coffee, baking cakes, cooking Sunday lunch, helping with fund-raising events, running BBQ's and organising a multitude of other functions throughout the year - PLEASE TRY & GET INVOLVED!